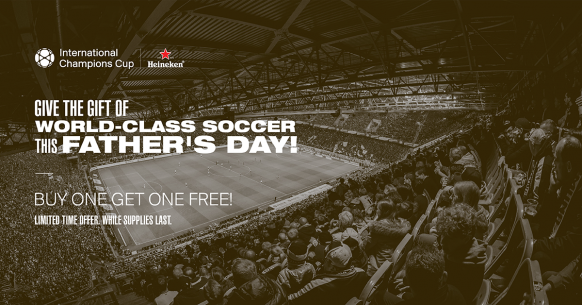 We’ve got an amazing offer for you that will make the perfect Father’s Day gift…tickets to the International Champions Cup: AS Roma vs Totteham Hotspurs at SDCCU Stadium on July 25, 2018! For a limited time, BUY ONE TICKET, GET ONE FREE! Hurry, offer ends soon and based on availability! This entry was posted in San Diego Events and tagged Mission Valley, outdoor recreation by Guest Blogger. Bookmark the permalink.